Your yard will go through a lot during the winter. 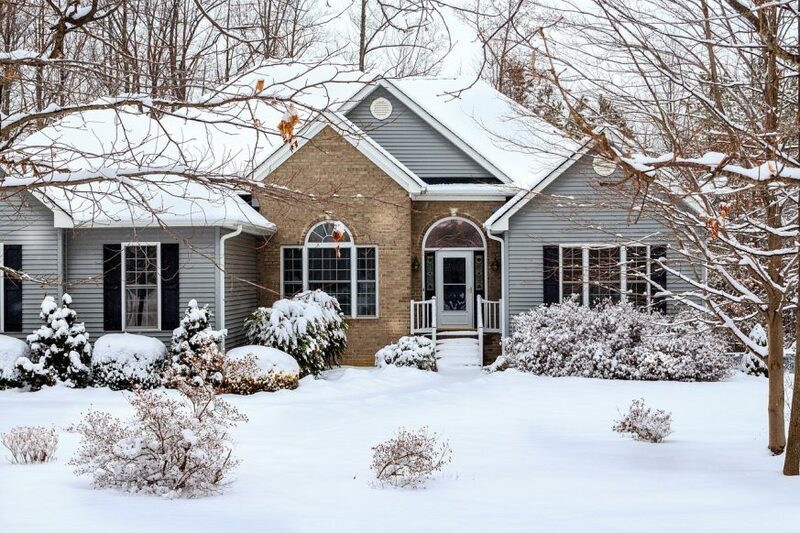 With the snow, ice, and cold weather, many lawns lose their healthy look during the winter. Just because you can't get out and mow your lawn this time of year doesn't mean that you should neglect your yard altogether. There are many yard maintenance tips that you can follow this time of year. 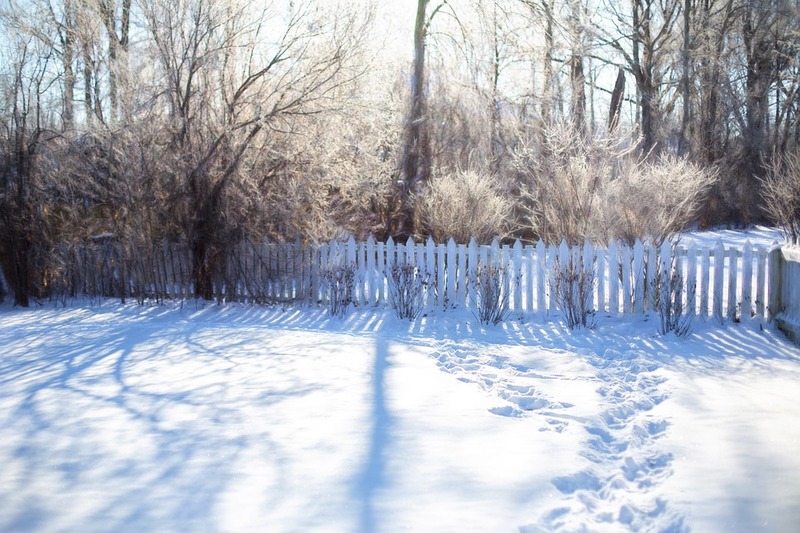 Today, let's take a look at the different ways you can care for your yard during the winter. The first thing you must do to prepare your yard for winter is to clean it up. Rake up the leaves and remove any large objects that are on your lawn. These things can smother the grass, create disease conditions, and invite insects, mice, and other damaging pests to your yard. That said, leaving a thin layer of leaves on your yard can protect it from the frost. Just don't leave so much that it will smother your grass. It's that time of year when you will slowly stop mowing your grass. Before you quit mowing your lawn, lower the height of your lawn mower blades so that it cuts off more grass. 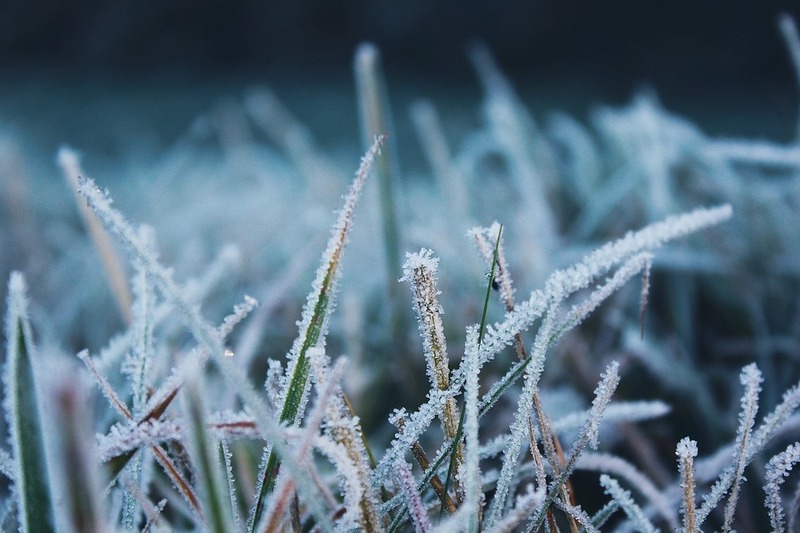 Grass that is too long can smother itself, cause disease, and is at risk of damage from freezing and thawing conditions. Don't lower the blades too much though. If you cut the grass so low that you expose the crown of the plant, the grass may die because of the extreme conditions. The weight of a car can damage your grass severely. Even someone walking on your lawn can cause your grass to become smothered. Try to avoid the amount of traffic on your lawn. During the winter months, keep your sidewalk and driveway shoveled so that people aren't tempted to walk or drive on your grass. If people still walk or drive on your grass, consider putting out a sign that says, "Keep Off Grass". The next yard maintenance tip is to fertilize it. Before the first freeze, give your lawn a thorough fertilizing to replace all of the nutrients that can be lost from the soil during the hot summer months. Once the weather becomes cold, the fertilizer will remain in the soil and feed your lawn’s roots all winter long. This means that when spring comes, you will have a healthy, lush, and green lawn. If you have trees or shrubs on your property, it is important that you fertilize them too. Nitrogen-rich soil won’t promote growth but will nourish your trees/shrubs during the cold, winter months. Sprinkle the fertilizer along the base of the plants so it seeps into the root below, which will nourish your plants. During the warm and dry summer months, your soil becomes hard and thirsty. This can become an issue during the winter because your soil cannot breathe. Try aerating your yard before the snow comes so that your lawn will be able to breathe during the winter. As a result, you will have a lush yard in the spring. Reseeding your yard may be the last thing on your mind, but this is a very important winter yard maintenance tip. During the summer months, there is a good chance that some of your grass died due to the dry weather and heat. If you have patches of missing grass, now is the perfect time to reseed it. Consider planting grass seeds that are made for the cold weather. There are many species of grass that thrive during the winter time. If you notice any dead grass, remove it and reseed that area. Pests can damage your yard very quickly. Keep your yard free of weeds and add as much fertilizer as possible. Weeds attract pests, as do leaves. That is why it is important to rake your leaves. Many pests create a habitat in leaves, which results in a damaged yard. When trying to get rid of pests, it is important that you try to do it naturally. Pesticides can sometimes damage your yard, so be careful when using them. Better yet, consider making your own natural pesticide. There are even homemade organic pesticide options that you can make yourself. You can learn about homemade and natural pesticides here. As I have already mentioned, weeds can attract pests into your yard. Weeds can also choke your grass and steal the nutrients in the soil. Although your yard may have survived during the summer, in the winter, your grass has a greater risk of dying due to the weeds. Thankfully, there are many natural options for getting rid of weeds. One way is to apply lemon juice to your lawn. A spray bottle filled with lemon juice will effectively get rid of weeds without doing much damage to your grass. A newspaper also prevents weeds from growing. If none of these homemade weed killers work, try pouring boiling water onto the weeds. Watch that the boiling water does not splash onto your grass, because this could damage your lawn. If all of these home remedies for weeds fail, try pulling the weeds by hand. Many people assume that once winter comes they can stop watering their lawn. While it is true that the ground is wet, this doesn't mean that you should stop watering your lawn altogether. Unless your yard is receiving at least one inch of water a week, you should water it. Use a rain gauge to find out how much water your yard is getting. This next yard maintenance tip may sound surprising. After all, most people throw away the grass clippings from their lawn. Although grass clippings may not look as nice on your lawn, there are many benefits of grass clippings. First, grass clippings help the soil retain moisture. Second, the grass clippings will provide a protective layer over your yard, which prevents the frost from damaging your lawn. Keep in mind that the grass clippings must be short in order to work. Allowing the grass clippings to stay on your lawn does not only promote healthy grass, but it also saves you time from raking the clippings. There are many other ways you can use grass clippings, such as making compost or mulch. Grass clippings can even protect plants from pests such as slugs and snails. If you are growing thin-barked trees such as maple, honeylocust, or crabapples, it is important that you wrap them with tree wrap. Tree wrap prevents sunscald injury which usually occurs during winter and early spring. Intense sunlight warms the surface of the trees to the point of stimulating cell activity in the bark. A sudden drop in temperature at night can cause damage to the tree, which results in a condition known as sunscald. Tree wrap reflects the light, which decreases the amount of heat the tree will feel. Wrap your trees sometime in November, and remove the tree wrap in April. Winter is the ideal time for landscape maintenance such as pruning your trees and trimming your hedges. To properly prune your trees, inspect the tree thoroughly and only cut branches that are dead or blocking the tree from sunlight. From hedges, use your hedge trimmer to trim the shrub. Snow will be here before you know it. Be prepared for the snow by having all your snow equipment ready. Because you'll probably be using your outdoor faucet when you water your lawn, make sure you winterize it to prevent frozen pipes. Put away your hoses but be ready to use them for when you water your yard. 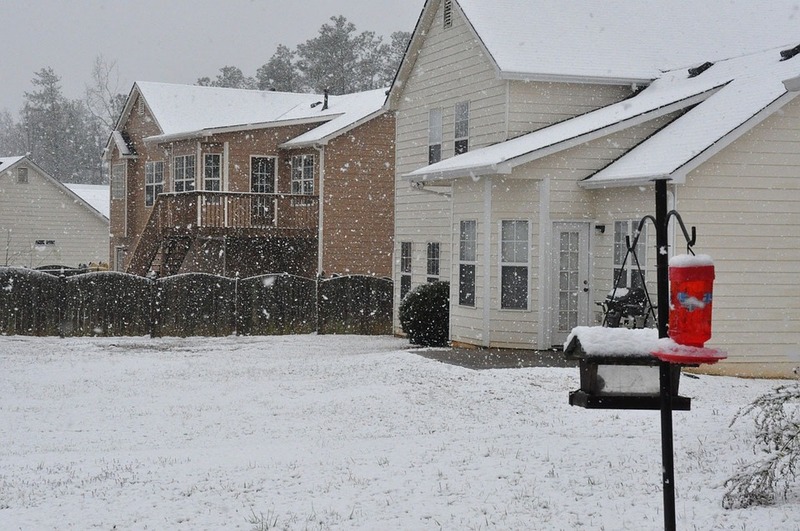 Being prepared for snow will help you, your yard, and will prevent you from spending money on new pipes or hoses. 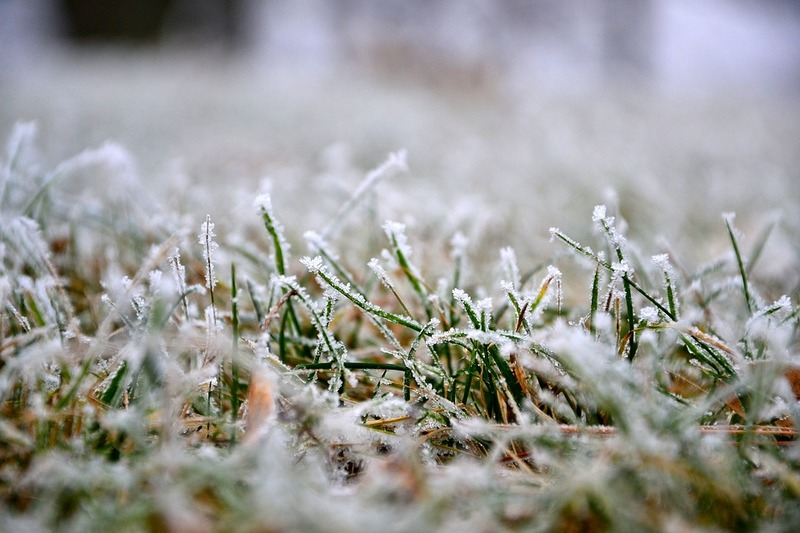 Although people strive for a healthy lawn during the summer, most people neglect their yard during the winter. Although there isn't as much yard maintenance involved during the winter, there still are some tips you should follow. Today, I went over everything you need to know about yard maintenance during the winter. Although some of these steps can only be done during the winter months, a lot of these steps can be done in the fall. For example, during the fall you can apply the fertilizer and finish mowing your lawn. Remember to clear out your yard as well. Objects in your yard can smother your grass, as well as cause diseases and pests to make a home there. If you can't do all of these yard maintenance tips, there are many landscape maintenance companies that will help you. I hope this article has answered all your questions on landscape maintenance during the winter. Hopefully, when spring comes your yard will be healthy and ready to grow into a lush lawn.